Frederick Horsman Varley was unique among the members of the Group of Seven. One of the greatest Canadian portraitists of the twentieth century, he is an intriguing example of an artist who, despite his fame as a portrait painter, remains better known for his landscapes. This is due mainly to his position as one of the founding members of the Group of Seven and their deliberate attempt to raise aw… areness of our national identity by depicting the Canadian landscape. Even though many public collections across the country, including the National Gallery of Canada, the Art Gallery of Ontario, and the Vancouver Art Gallery, display some of Varley's best-known portraits, these works do not easily fit into the conventional mould of the Group of Seven. 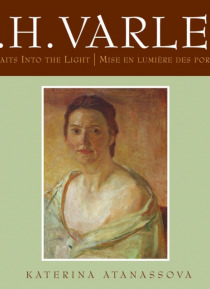 Nearly four decades after his death, Varley's portraits are still not fully acknowledged. The release of this beautifully illustrated bilingual volume coincides with the opening of an unprecedented exhibition of his portraiture.